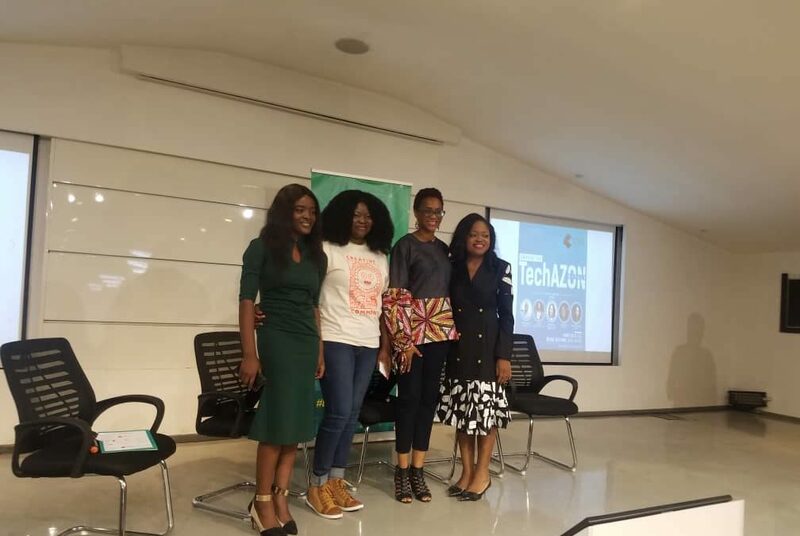 Recently i sat an a EdTech panel at the African Women in Technology 2019 conference, and i was amazed to see participants come from all over the country, as well as far Katsina. It felt liberating being given the opportunity to share, learn and make an impact. Before the conference, i was asked some questions about EdTech in Africa and i would love to share my answers with you as well. Interviewer: As a professional who teaches digital skills, what does technology represent to you? Me: Technology represents to me three things; Freedom, Empowerment and Actionable Resource. Interviewer: Why did you choose this career path? Me: It chose me. Just like philosophy is known to be the foundation of all disciplines. Educational Technology to me is the bedrock of how we will possess knowledge in the future. Interviewer: As an EdTech professional, how receptive have the African women population been to Educational Technology? Me: On a scale of 1 – 100, 100 being the highest, based off my experience and attendance seen at women dedicated conferences, such as the AWIT2018 and the Summit for Women and Girls organised by the Web Foundation last year. I would score women’s’ participation in Edtech, 15 (I earlier said 50, i may have been too excited). The focus though is more on securing jobs in STEM and embracing it, rather than adoption of tech in what we do everyday and teaching the next generation how to be ready and equipped for the future. Interviewer: As an African woman in tech, what is the most significant challenge you have faced professionally? Me: That would be working remotely in the sense of not having a brick and mortar shop. The work we do is one we can carry out from anywhere, so long as there is electricity and reliable internet connectivity. This also means that we do not need to operate a physical office. The implication of this is that clients who prefer to walk-in to request for our services are not able to do so. Even though we are able to manage our remote processes efficiently, some clients would still insist on physical contact when it is clearly not needed. Interviewer: Where do you place the value of EdTech in the next few years in Africa? Me: I see it saving the current degenerating educational system we have in Nigeria. I see it opening new frontiers in personalised learning especially in areas lacking access to internet and its technologies. I see it becoming a norm, and a strong tool for the economic liberation of most African countries, especially our dear country, Nigeria. Thanks for this initiative, thanks for keeping the flag flying for the women and girls in our society. However, my question is; does this initiative consider that in less than 1 decade away from today, we might be having several initiatives empowering the boy child due to so many male gender exclusive interventions? All the same I love what you are doing! Adenike, thanks for the feedback, that is a good perspective. This subject does involve us all and i personally believe 21st century parents have a lot of work to do in this regard concerning how they raise their children. This will help to further bridge that gap. I think we should also let our approach involve women and children (male and female), that way, both genders in the upcoming generation can benefit from initiatives similar to ours. If you have ideas on how to make women focused initiatives better, please do not hesitate to share either here or via mail. In line with one of the targets of SDGs Goal No 5, our mission is to achieve Gender Equality by promoting and supporting the use of information and communication technologies to empower women and girls. Our vision is to facilitate the creation of hubs in different rural townships, hubs set up to explore and equip individuals with digital skills. Hubs set up to provide a safe and conducive environment for girls and women to do tech. Help us to build our community, please support our cause with as little as N3600 ($10). Enter your email address to subscribe to this site and receive notifications of updates and posts by email.